Yesterday was a very happy day for me. I received in the mail the Basic Riders Course receipt for the Department of Motor Vehicles (DMV) so that I could take the written test and get my Motorcycle license. After checking the mail and seeing that I had the form, I had to go take the test right away. The excitement took over and it was something I had to go do immediately. Preparing for my Motorcycle DMV test! 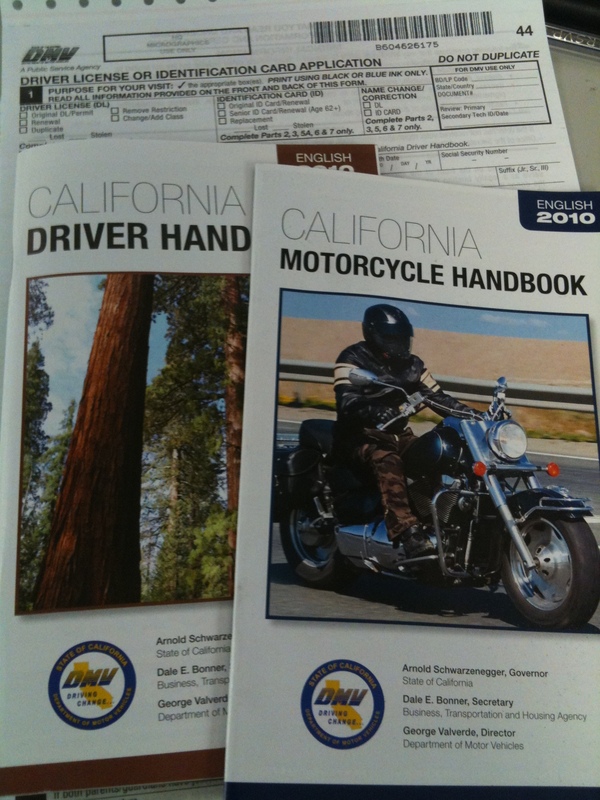 Incredible the amount of paperwork that you need to go through in order to obtain a motorcycle drivers license in California! Not only do I need to study for my motorcycle written test but I also need to RETAKE my regular drivers license that I took years ago! Anyways, thats what I have been up to and this is also my first post on my blog using my iPhone. Yep, there’s an app for that!